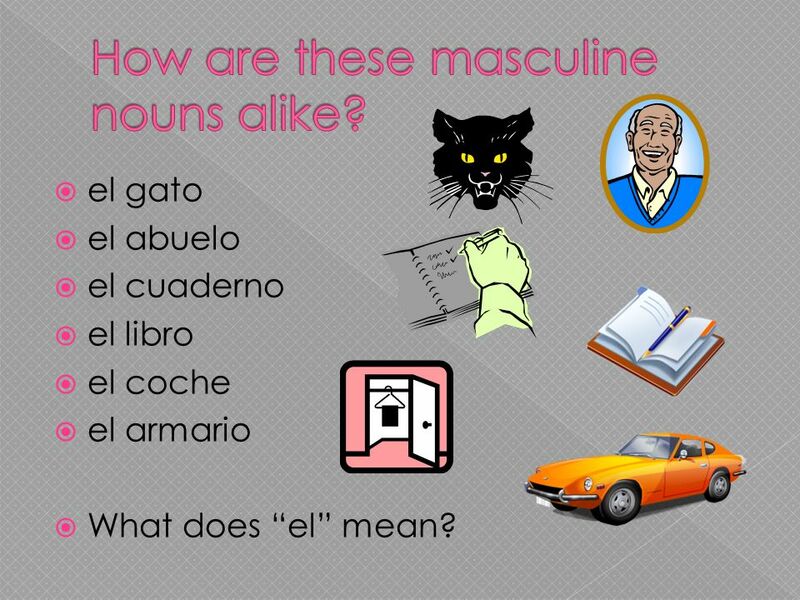 5 How are these masculine nouns alike? el gato el abuelo el cuaderno el libro el coche el armario What does “el” mean? 6 How are these feminine nouns alike? 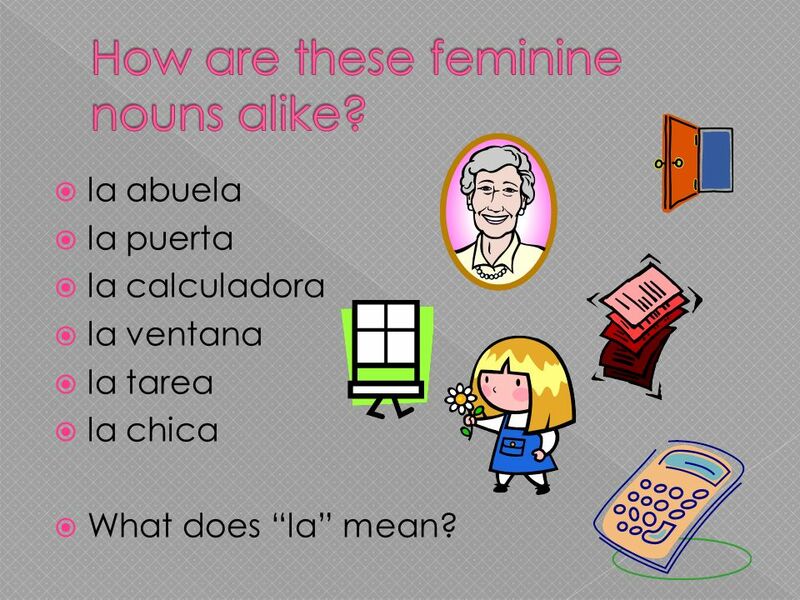 la abuela la puerta la calculadora la ventana la tarea la chica What does “la” mean? 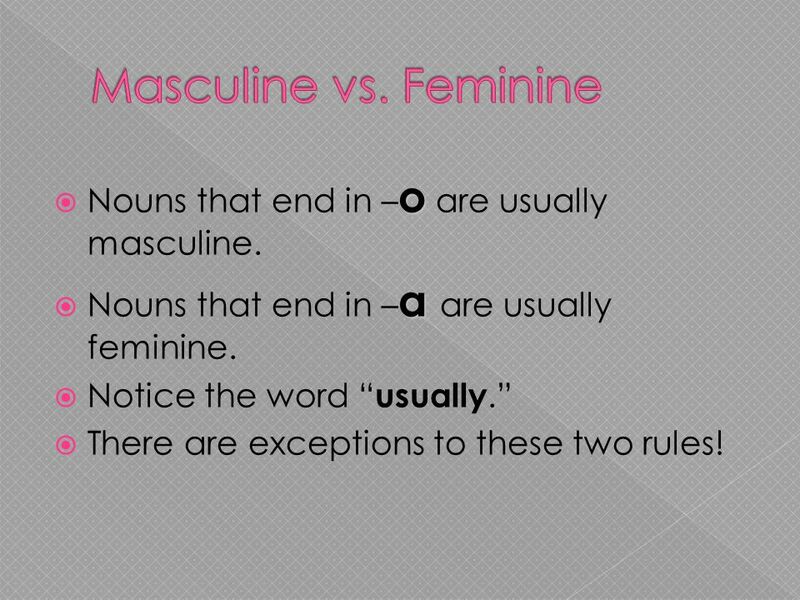 7 Masculine vs. Feminine Nouns that end in –o are usually masculine. Nouns that end in –a are usually feminine. Notice the word “usually.” There are exceptions to these two rules! 8 Don’t try this at home… or ever! 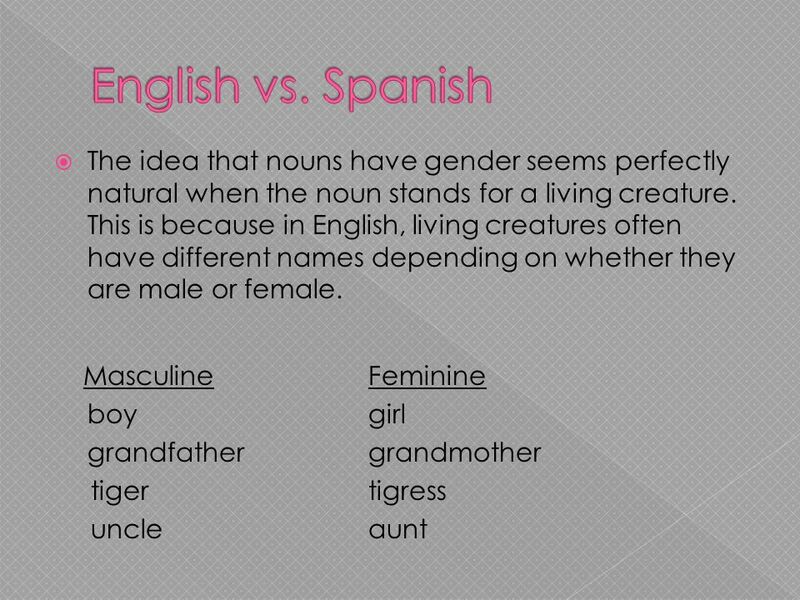 9 But how can I tell if a noun is masculine or feminine? 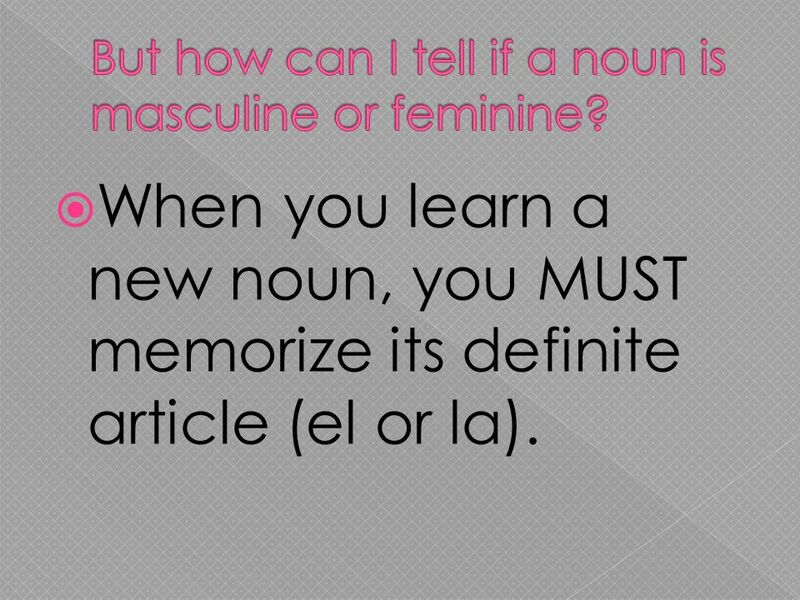 When you learn a new noun, you MUST memorize its definite article (el or la). Because you cannot predict the gender of most nouns. Because not every noun that ends in an –o is masculine, and not every noun that ends in an –a is feminine. Because many nouns end in letters other than –a and –o. 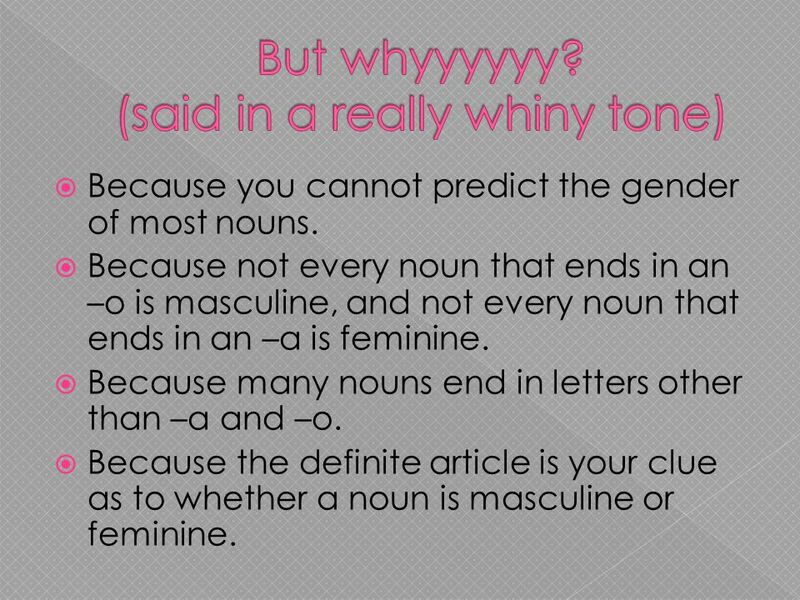 Because the definite article is your clue as to whether a noun is masculine or feminine. 11 But why should I care? Good question! 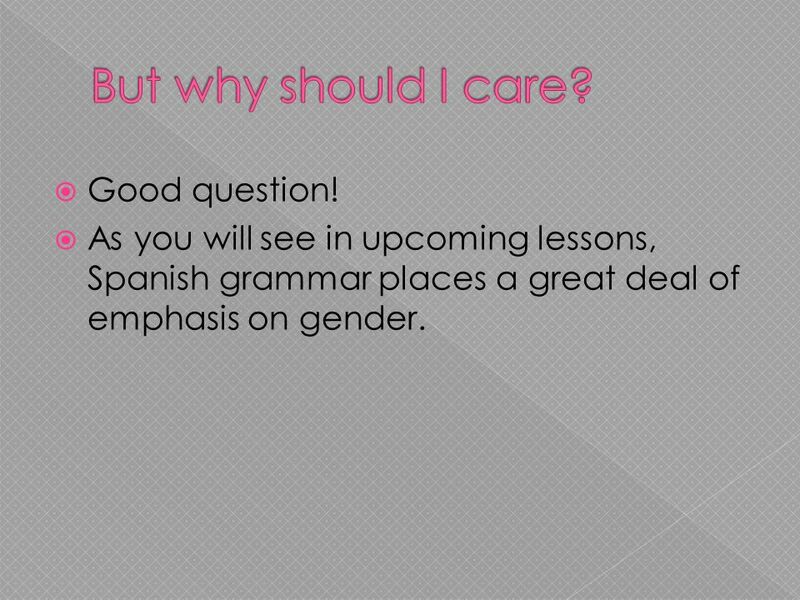 As you will see in upcoming lessons, Spanish grammar places a great deal of emphasis on gender. 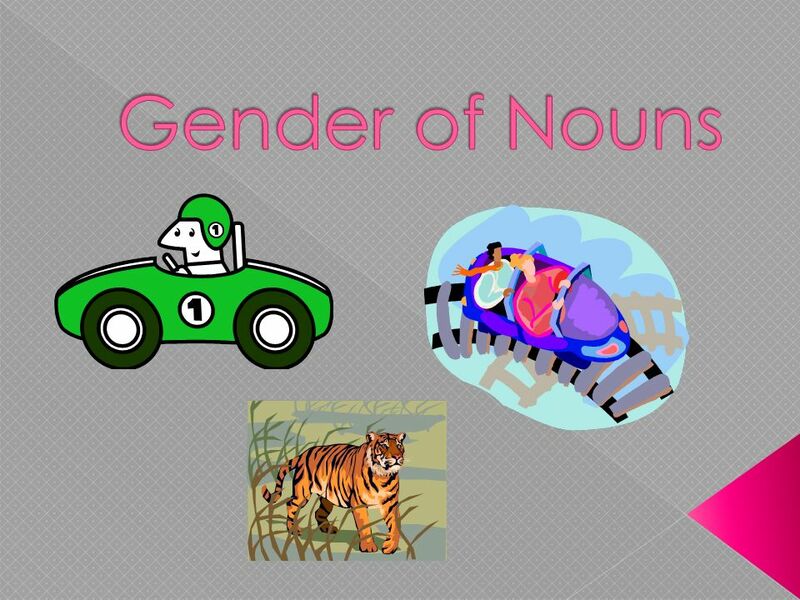 Download ppt "Gender of Nouns." Adjective Agreement Grammar essential #7. Page 110 Realidades 1 Nouns. 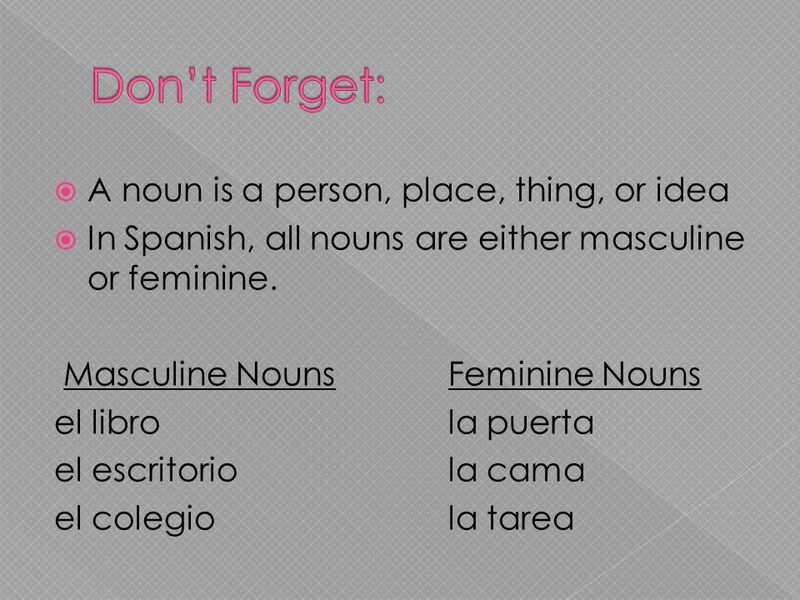 Nouns have a gender Usually, if the nouns last vowel is an a, it would be considered a female noun You would use la if it is singular You would use las. Los adjetivos Adjectives are words that describe a noun. 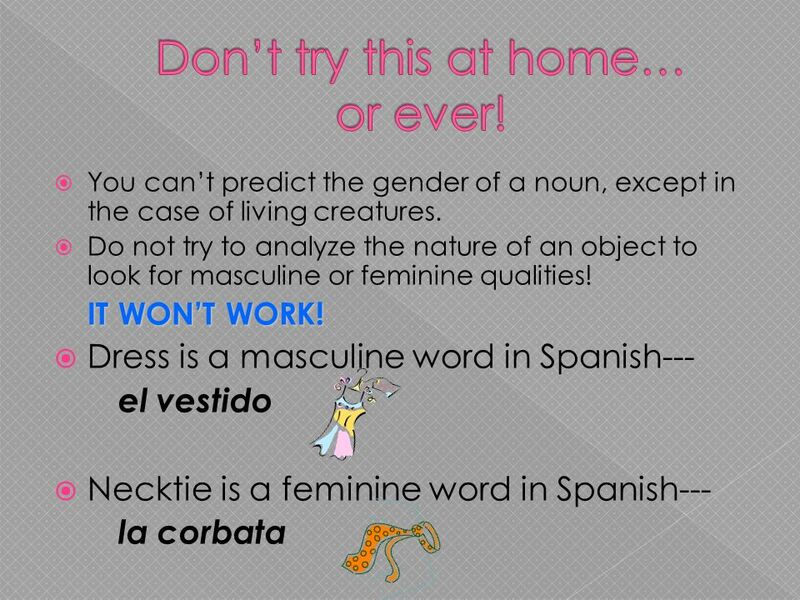 Fun with el, la, los, las Gender in español. Español 1 el 26 de agosto. Bell Dinger el 9 de septiembre Translate: 1. arm 2. leg 3. eye 4. foot 5. finger. Artículos y adjetivos Unidad 1 Lección 2. The Articles The articles in English are “a,” “an,” and “the.” The articles in Spanish are: Un, una, unos, unas El, la, los, las El/la=the Un/una=a/an. Definite Articles and Plurals Para Empezar. 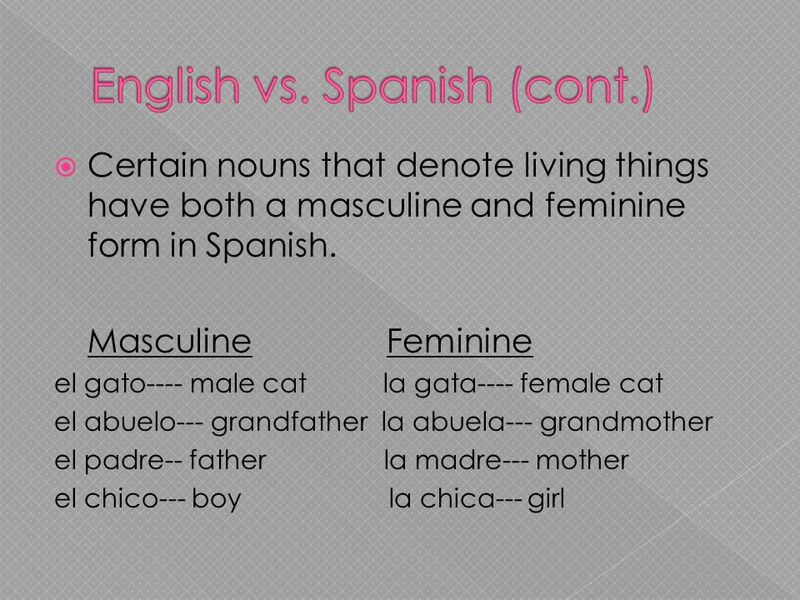 Genders In Spanish, every NOUN has a gender. masculine or feminine.